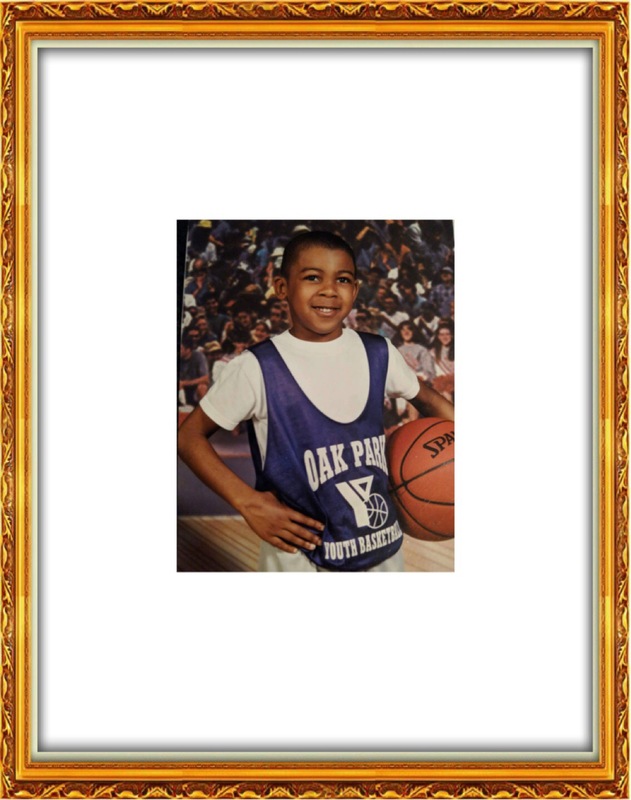 A study of Jevon Carter during his childhood and what made him who he is today. Jevon Carter was not an average child. He never went on family vacations because he wanted to stay home to concentrate on baseball and basketball. He was 10 years old when he said to his mother, Cynthia Johnson, “My team needs me.” Instead of going to the beach or to amusement parks, Jevon stayed home. He practiced and he prepared and he was always there for his team. When other boys his age were playing video games, he was in the driveway dribbling or at gym working on his game. He took meticulous care of his toys and always kept his room and clothes neat and tidy. In other words, he was not like other children. His mother said it seemed that he was a “born leader.” She could see real leadership qualities in him as early as 3 years old. Many studies about leadership have been conducted with the question “can someone be a born leader?” at the forefront and the results are very interesting. While someone can be predisposed to be a leader from birth, like some are predisposed to talents in music, art or athletics, it’s difficult to say whether someone can be a born leader or not. Make no mistake about it, Jevon was born with something quite special. He was clearly inclined at an early age with the gifts and characteristics of a leader. He spoke up for his older cousins (who he spent most of his childhood with), he was responsible and independent and understood the value of hard work. His mature nature at such an early age suggests that it was inherent to him since birth, that he was born with that special quality that made him destined to be great at whatever he chose to do. His mother explained to him that she would support him regardless of what he chose to do with his life; “whether he decided to be a doctor or a drummer”, she would “make sure he had every opportunity to be the best.” Failure to do whatever he wanted was simply not an option. Yes, he was put in a position to use his God-given abilities to be great, but he had to put in a lot of time and effort. He worked hard his whole life. In my interview with him last month (https://mountaineersports.com/jevon-carter-the-interview/), I asked him where he thought his incredible work ethic came from. He replied, “My background, my father, my family. I’ve been struggling and fighting my whole life to get everything that I have. I always had an inner drive and desire to be the best I could be. And so I motivate myself. I push myself.” As a child, basketball was not his most natural sport. He was naturally gifted as a baseball player, but he loved basketball. (Jevon recently told his mother “What was I thinking choosing basketball over baseball?” after learning of Bryce Harper’s $330 million dollar contract). Perhaps it was the fact that basketball didn’t come as easily as baseball that made him love it even more. Maybe working hard for something was the only way to truly satisfy him. Basketball became his passion and he lived it and he dreamed about it (and talked about it in his sleep, according to his mother). Although he didn’t tell anyone that he wanted to play in the NBA until his Junior year in college, he didn’t have to. People close to him knew. All of his efforts were focused on becoming the very best basketball player that he could be and he was going to be one of the best at whatever he chose to do with his life. He split time between his mother’s and father’s homes. His mom was an academic scholar (she attended the University of Tennessee in Chattanooga and was on the Dean’s list with an academic scholarship) and focused on Jevon’s academics. She didn’t pressure him about getting all As while in school, but she did demand that he always did his best. “The As and academic accolades were just products of his competitive and perfectionist nature. He did not want to get anything less than an A.” She provided the love and unrelenting support that Jevon needed growing up and continues to do the same to this day. He had to work hard to develop and refine his craft. He did it as a child, as a young man and now as an adult at the pinnacle of his chosen profession. His success is a culmination of his God-given qualities, his incredible hard work and outstanding parenting by his mother and father. At an early age, I’m sure he would never have imagined that he would have the support of an entire state. West Virginia, a state that admires hard work above all else, will always appreciate and love Jevon Carter, the very embodiment of all the qualities West Virginians hold so dear. Cynthia Johnson, thank you. Thank you for the pictures, for your quotes and time during this project, and for raising such an awesome young man who has given all West Virginia fans so many great memories.